Little, Brown Books for Young Readers, 9780316011310, 256pp. A half Asian and half white teen navigates a summer of woe and love in this utterly relatable novel that Meg Cabot calls "A funny, touching read that will leave you craving more.". 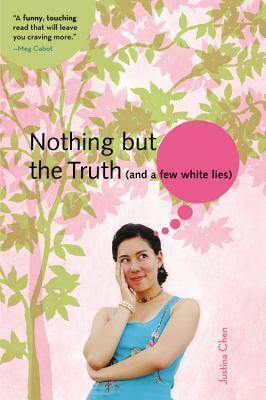 Nothing But the Truth (and a few white lies) is a fresh and witty contemporary novel about finding yourself, perfect for fans of Mitali Perkins and Carolyn Mackler. Justina Chen Headley grew up near Buffalo, NY and San Francisco. After attending Stanford University she spent time in New York and Sydney, Australia before settling near Seattle, Washington, where she currently lives with her two children. Her first, Nothing But the Truth (and a few white lies), was a Book Sense pick, and her second novel, Girl Overboard, won praise from Olympic Gold Medalist and fellow snowboarder Hannah Teter. Her third novel, a gorgeously written story about a teen's quest for beauty, North of Beautiful, was critically acclaimed with starred reviews from Publishers Weekly, Kirkus, and Booklist.